Daniel Ong, a Chinese-Filipino, puts Bowring’s allegations under the microscope and demolishes them, one by one. The facts are clear. 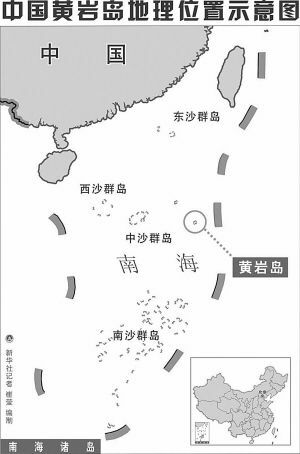 Within the framework of the conventional monopolistic state, the Huangyan Islands belong to China. “A little learning is a dangerous thing.” So wrote Alexander Pope in the 18th century. A little learning can even be more dangerous nowadays, when it hides under the cloak of a prestigious publication and is widely disseminated through modern online media. One example of such is Philip Bowring’s article “China’s Invented History” tackling the China-Philippine conflict over Scarborough Shoal, posted on the website of the Wall Street Journal. The article of Mr. Bowring charges that China is rewriting history to bolster its own claim to Scarborough Shoal (and the Spratly Islands). Mr. Bowring’s main evidence for Chinese historical revision is that Chinese sailors were latecomers to the South China Sea and could not have been the first to discover Scarborough, as China claims. Mr. Bowring presents other arguments to counter the Chinese claim to Scarborough: (1) the Philippines has a stronger claim to Scarborough Shoal on the basis of “geography,” and (2) China is wrong in using the 1898 Treaty of Paris as a basis for its claim. Let us first consider Mr. Bowring’s subsidiary arguments. Mr. Bowring writes that the “Philippine case for Scarborough is mostly presented as one of geography,” and proceeds to cite the oft-repeated figures showing the proximity of Scarborough to Luzon, and the distance of Scarborough from China. He also writes that China avoids these inconvenient geographical facts in pressing its claim. Mr. Bowring is apparently unaware that the Department of Foreign Affairs of the Philippines has released a position paper on the matter last April 18 (Department of Foreign Affairs, “PH sovereignty based on Unclos, principles of int’l law,” Philippine Daily Inquirer, 20 April 2012, A18; “ ‘Panatag is part of Phl territory’,” The Philippine Star, 20 April 2012, 10). The position paper stated that Philippine sovereignty and jurisdiction over “Bajo de Masinloc” or Scarborough is not premised on proximity or the fact that the rocks are within its 200-nautical-mile exclusive economic zone (EEZ) or continental shelf under the United Nations Convention on the Law of the Sea (UNCLOS). Even the Philippine government has already realized that geographic proximity alone is not an adequate basis for claiming sovereignty over territory (Jon M. Van Dyke, “Legal Issues Related to the Sovereignty over Dokdo and Its Maritime Boundary,” Ocean Development & International Law, Jan 2007, 38(1-2): 159, 193; Louis Henkin, Richard Crawford Pugh, Oscar Schachter, and Hans Smit, International Law: Cases and Materials, 2nd ed., St. Paul: West Publishing, Co., 1987, 290, 306-307). The argument of Mr. Bowring is untenable, in two ways. Mr. Bowring appears to be confused about the concept of unequal treaty. An unequal treaty, in the view of East Asian nationalists, is a treaty which was not negotiated between states treating each other as equals, but imposed upon a weaker state after its military defeat or with further threat of military action by a stronger state. For example, the Treaty of Nanjing signed by China after its defeat in the First Opium War, provided for the cession of Hong Kong Island to the United Kingdom (among other things), and is considered the first of the unequal treaties imposed by foreign powers on China. If the 1898 Treaty of Paris is to be considered an unequal treaty, the stronger state would obviously be the US, and the weaker state in this case would be Spain, which was forced to relinquish the Philippines (plus Guam and Puerto Rico) after its defeat in the Spanish-American War. Therefore, even if the Treaty of Paris is interpreted to be an “unequal treaty,” what would be in question would not be the proper boundaries of the Philippines, but the validity of the transfer of the Philippines to the United States (just as the issue about the “unequal” Treaty of Nanjing would not be the boundaries of Hong Kong, but the validity of the cession). Even if the Philippines had remained under Spain, or even if the Philippines had successfully won its independence in 1898, the extent of Philippine territory would still not have been greater than what it had been before the Spanish-American War. One good thing about the Treaty of Paris is that it provided a clear delineation in writing of this territorial extent. (2) Despite all this, one might still argue that the Treaty of Paris was null and void and is not binding on the Philippines, simply because the Philippines was not a participant in the negotiations leading to the treaty. It may be true that the Treaty of Paris was concluded between Spain and the US “without any input from the Philippine people,” but was this treaty later rejected by the Philippines? The boundaries set by the Treaty of Paris (and by the Treaty of 1900 between the US and Spain, and the Treaty of 1930 between the US and the UK) served as the basis of the definition of Philippine territory in the 1935 Constitution of the Philippines. Perhaps the only thing that Mr. Bowring got right was this statement: “The seafaring history of the region at least for the first millennium of the current era was dominated by the ancestors of today’s Indonesians, Malaysians, Filipinos and (less directly) Vietnamese.” This statement at least is supported by current historical and anthropological knowledge. (Victor T. King, “Ethnolinguistic Groups of Southeast Asia,” inSoutheast Asia: A Historical Encyclopedia, from Angkor Wat to East Timor, ed. Ooi Keat Gin, pp. 492-498, Santa Barbara, California: ABC-CLIO, Inc., 2004). Evidently, Mr. Bowring confuses “Malay” with “Malayo-Polynesian;” replacing all occurrences of “Malay” in the previous statements with “Malayo-Polynesian” would make them correct. The concept of “Malay” as a race encompassing the peoples of Indonesia, Malaysia, and the Philippines was an invention of 18th-century European racism (“Malay,” in Barbara A. West, Encyclopedia of the Peoples of Asia and Oceania, Volume II, p. 478, New York: Facts on File, Inc., 2009). “Malay people” now refers to people speaking the Malay language, a language which may have existed since before the Christian era, but attested in writing only in the 7th century CE (Hein Steinhauer, “Malay/Indonesian,” in Facts About the World’s Languages: An Encyclopedia of the World’s Major Languages, Past and Present, ed. Jane Garry and Carl Rubino, pp. 452-453, New York and Dublin: The H. W. Wilson Company, 2001). Mr. Bowring argues that the Chinese could not have been the first to discover Scarborough, since the dominant seafarers in the South China Sea in the first millennium were the “Malays” (i.e., Malayo-Polynesians). Mr. Bowring believes that because the Malayo-Polynesians were the earlier seafarers, they must have discovered every existing land feature in the South China Sea before others did. Even if Mr. Bowring is correct, the discovery of Scarborough by Malayo-Polynesians does not mean that it became their territory. A review of the Clipperton Island arbitration case would be helpful (http://www.ilsa.org/jessup/jessup10/basicmats/clipperton.pdf). The Clipperton Island case happens to be very similar to that of Scarborough. Clipperton is a coral atoll; it was and still is uninhabited, is closest to Mexico, and was claimed by both France and Mexico. Mexico argued that Clipperton had been discovered by Spain and therefore had belonged to Spain, and that Mexico succeeded to Spain’s rights over Clipperton upon independence in 1836. The arbiter reasoned that even if it could be proven that Clipperton had been discovered by Spanish navigators, there was no evidence that Spain incorporated it in its possessions, so it could be considered territorium nullius in 1858, when a French naval lieutenant declared French sovereignty over it. Abandonment by France after 1858 (“no positive and apparent act of sovereignty”) was also not considered a factor to extinguish French sovereignty. Although the decision was rendered in 1931, the arbiter decided that based on the facts, sovereignty over Clipperton belonged to France from the date Nov. 17, 1858. If Mr. Bowring thinks that the “13th-century map” is not sufficient basis for China to claim Scarborough, there are other more recent official acts and proclamations on the part of China. In 1935, China’s Land and Water Maps Inspection Committee published a journal listing the approved Chinese and English names of islands and other features in the South China Sea (Li Jinming and Li Dexia, “The Dotted Line on the Chinese Map of the South China Sea: A Note,” Ocean Development & International Law, July-Dec 2003, 34(3-4): 289). In December 1947, the Chinese government at the time (which is the government now administering Taiwan) officially drew the dashed lines forming a U-shaped boundary around the South China Sea islands (Zou Keyuan, “Historic Rights in International Law and in China’s Practice,” Ocean Development & International Law, April-June 2001, 32(2): 161; Peter Kien-Hong Yu, “The Chinese (Broken) U-shaped Line in the South China Sea: Points, Lines, and Zones,” Contemporary Southeast Asia, Dec 2003, 25(3): 407). Scarborough Shoal lies within this U-shaped boundary. In September 1958, China promulgated its “Declaration of the Government of the People’s Republic of China on Territorial Sea,” laying claim over the islands in the South China Sea, including Scarborough Shoal (Yann-Huei Song and Zou Keyuan, “Maritime Legislation of Mainland China and Taiwan: Developments, Comparison, Implications, and Potential Challenges for the United States,” Ocean Development & International Law, Oct-Dec 2000, 31(4): 306-307). In February 1992, China promulgated its “Law on the Territorial Sea and the Contiguous Zone,” declaring sovereignty over Scarborough as part of the Zhongsha Island Group. In 1996, China’s legislature ratified the UNCLOS, but also declared that China was reaffirming its sovereignty over all the archipelagoes and islands listed in the 1992 Territorial Sea law (Yann-Huei Song and Zou Keyuan, 2000, 309). As for the Philippines, it made a formal claim to Scarborough only in 2009, when the Philippine Congress passed RA 9522, labeling Scarborough a “‘Regime of Islands’ under the Republic of the Philippines” over which the country “exercises sovereignty and jurisdiction.” Before 2009, Scarborough was not considered Philippine territory even by its own Constitutions. Mr. Bowring writes that “Beijing argues that its 1932 claim isn’t bound by the Convention, which came into effect in 1994 since it preceded it. That’s a handy evasion, most probably because China knows its case for ownership is weak by the Convention’s yardsticks.” These statements actually do not demonstrate China’s evasion, but rather Mr. Bowring’s ignorance of the UNCLOS. The jurisdiction of the UNCLOS and the International Tribunal for the Law of the Sea (ITLOS) is generally understood to be limited to law of the sea disputes (Zou Keyuan, “The International Tribunal for the Law of the Sea: Procedures, Practices, and Asian States,” Ocean Development & International Law, Apr-June 2010, 41(2): 140). This means that the ITLOS only has jurisdiction over matters covered by the UNCLOS, such as disputes over delimitation of territorial seas and EEZs, and not issues such as which state owns a particular island in the sea. In other words, the UNCLOS deals with maritime boundary disputes, but is has no “yardsticks” when it comes to sovereignty disputes over land territory. By appealing to the “Convention’s yardsticks,” Mr. Bowring probably thinks that the Philippines can rightfully claim Scarborough because it lies within its 200-nm EEZ. Raul C. Pangalangan had already written that it’s the other way around—the Philippines has to settle its title to an island first, before the extent of the surrounding territorial sea and EEZ can be determined (“Baselines: A primer for beginners,” Philippine Daily Inquirer, 6 February 2009, A14). According to Mr. Bowring, China believes that its claim to Scarborough precedes the UNCLOS and is therefore not bound by it. That is absolutely correct: the UNCLOS sets the limits of territorial seas and EEZs; it does not and cannot alter existing state boundaries. This is the same reason why the Philippines cannot claim Taiwan and the Talaud Islands as its territories even if these lie within 200 nm of Philippine coasts. All that Mr. Bowring’s article demonstrates is ignorance of history, anthropology, linguistics, law, and logic. On the issue of Scarborough Shoal, the evidence suggests that China is not the one guilty of historical revision, and “today’s naval arguments won’t come to an end” until the guilty side stops rewriting the past.